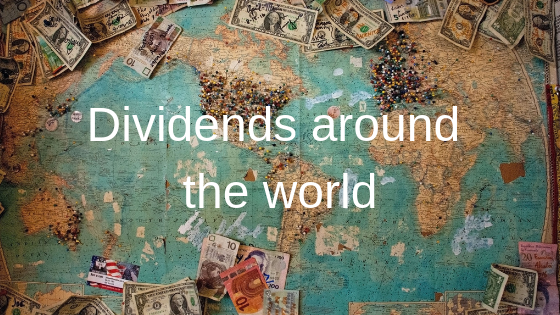 Did you know that, back in 1602, the Dutch East India Company (VOC) was the first public company to pay regular dividends? This early mega-corporation started the ball rolling by creating a company structure that is still followed today AND paying annual dividends worth around 18% of the share value. Amazingly, this continued for close to two hundred years – there must have been some happy shareholders! Distribution of dividends is a tricky debate. How far should a company go in retaining profit for future growth and development? How much should they reward loyalty and investment by sharing the fruits of their endeavours with their shareholders? Traditionally, Australian companies are inclined to pay dividends. Aussie investors tend to look for, and bank on, a return on their investments. Company profits have, in many cases, become synonymous with personal return through dividend pay-out. The payment of dividends has become a hot topic since the Australian Federal Opposition recently stated their plan to introduce a policy to cease the refund of unused imputation credits. The present system has been in operation since 2001; the potential change has been met with much resistance, particularly from SMSF’s and the retiree community who have created their investment strategies with the imputation credit system in mind. While this debate continues to rage, the Opposition’s driving force behind this move is the perceived ability to reinvest the imputation credit funds. The outcome of this year’s Federal Election and resulting structure of the Senate will certainly be of interest to many Australian investors, retirees and SMSF holders. Steve Jobs’ position on the argument became apparent in 1997 when he famously cancelled the payments of all dividends on his return to Apple. Stating that ‘cash in the bank gives us tremendous security and stability’, Jobs proceeded to ‘hoard’ Apple’s profits from 1997 until he amassed a cash reserve of over $50 billion in 2011. His ‘rainy day’ approach has been the focus of much discussion within the financial community but in 2012 when Apple, under the leadership of Tim Cook, resumed paying dividends, the company presented as a formidable stock option. Similarly, Warren Buffett, the ‘Oracle of Omaha’, has not paid dividends to Berkshire Hathaway’s shareholders since 1967. Proclaimed as one of the world’s greatest investors, Buffett prefers to reinvest profits within the company in order to build long-term longevity. His theory is that by providing means for improvement and diversification within his holdings, the shareholders will be rewarded with higher stock values and greater future wealth. Buffett has maintained his stance for 52 years since the last dividend was paid, memorably joking ‘I must have been in the bathroom when the decision was made'. Back in Australia, 2016 saw BHP cut their dividends by almost 75% - the first time in thirty years that the company reduced their pay-out to shareholders. This response to their drop in profit enabled the company to hold on to capital to shore up their resources and invest in the exploration and development of new mines. Fast-forward to 2018 and BHP’s return to their traditional strength resulted in payment of a record final dividend and promises of significant future financial returns. Dividend payment is not always a sure thing. Whether or not a dividend can be paid is dependent on the overall health and goals of the company. Companies balance profit retention directed towards company growth against the payment of dividends to their eager shareholders. Endurance, growth and stability are desirable assets for provision of significant return on investment. While dividends may be reduced, causing short-term loss of expected return, a long-term plan for a company to remain in good health will enable the payment of dividends for many years to come.